The service, previously rumored to be called "Apple News Magazines", costs $9.99 per month in the US ($12.99 in Canada) and ships with the entire catalog that it has been hosting after the Texture purchase. In a similar way to how it introduces Apple Music, Apple is offering a free trial of Apple News+ for one month. Apple CEO Tim Cook said that presently, over 5 billion stories have been read on Apple News, making it the number one new app ever created. "We wanted to create the best reading experience ever on a mobile device," said Apple's Vice President of Applications, Roger Rosner. "Apple News+ will bring over 300 titles." Those titles include a mixture of magazines and newspapers. Rosner revealed that "the country's largest newspaper and a rising star, the LA Times" is part of the service. 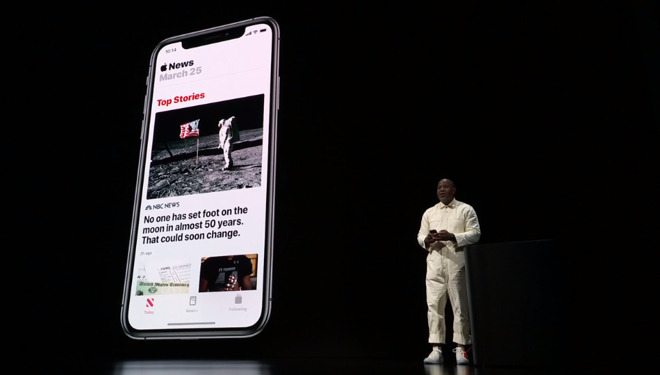 "I'm super-proud to announce that Apple News+ also includes one of the world's top newspapers, the Wall Street Journal," he said. It will also include 30 French-language titles. "There has literally never been an offer like this before," he continued. "If you were to subscribe to all of these it would cost you $8,000." The new Apple News+ subscription will be $9.99 per month and it's the same cost for individuals or via family sharing. "Apple News+ provides a perfect platform for our expanded coverage of news, analysis and opinion," said Norman Pearlstine, executive editor of Los Angeles Times, in a press release from Apple. "We share a world vision that is informed by our California roots and by our common commitment to innovation and excellence." Similarly, Conde Nast's president and CEO, Bob Sauerberg, says Apple News+ is helping publishers progress. "We're constantly innovating how we connect with our audiences and bring them the content they crave on the platforms they use every day," he said. "Apple News+ represents an exciting opportunity to bring a premium experience to millions more readers, so they can enjoy the conversation-shifting journalism, influential points of view and unparalleled visual storytelling they've come to expect from our brands." Rosner noted that Apple News+ will not allow advertisers to track your reading choices. Other notable magazines available at launch include The Atlantic, Better Homes & Gardens, Conde Nast Traveller, Esquire and Vanity Fair. Alongside print magazines and newspapers, the service will also contain online-only titles such as theSkimm, New York Magazine's Vulture, and The Highlight by Vox. Readers will always be able to read the current issue of any title but, where available, they will also have access to back issues. Rosner brought up Wyatt Mitchell, Apple's Director of Application Design to demonstrate the service. "Apple News + makes the experience of diving into an issue fun," said Mitchell. "It's like having National Geographic designed for my phone." The newly updated news and magazines subscription service that Apple has launched is just the most recent of a series of attempts to make News a profitable part of the business. Back in 2011, the company introduced a subscription service called Newsstand with the then-new iOS 5. Looking and acting very similarly to the way iBooks worked, you would have a virtual shelf with new issues of magazines you had bought. Initially, Newsstand appeared to be a success with publishers like Conde Nast reporting that it had radically increased its sales of digital issues. However, it ultimately failed to take off and was increasingly ignored, even by Apple which officially kept it running until iOS 9 in 2015. At that point, Apple introduced a completely new app called Apple News. 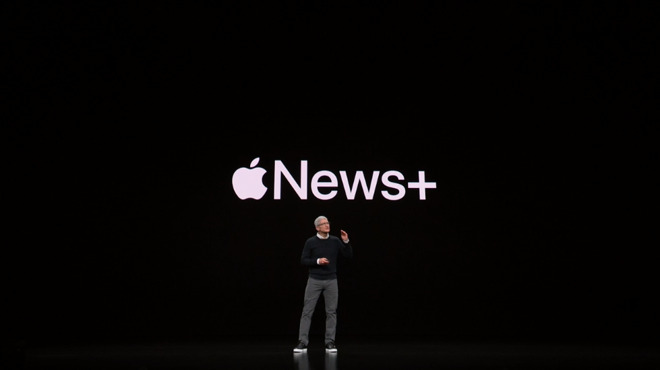 Tellingly, when Apple's Craig Federighi announced Apple News in 2015, he completely omitted to mention Newsstand, and said only that the company had been wanting to produce a news app for many years. The Apple News app was released for iOS in the US on September 16 that year. A few weeks later on October 21, 2015, Apple News expanded to work in Australia and the UK. It then continued to roll out to further countries but not always permanently. The next move for Apple News was in March 2018 when Apple's Eddy Cue revealed that the company had bought Texture. Texture was a company, app and service that allowed readers to subscribe to magazines in what was referred to as the Netflix model. For $9.99 per month, you had access to all of the magazines in the service. That $9.99 got you this access on Macs, iOS and Windows but Apple shut down the Windows part of the service in July 2018. Just ahead of that shutdown, Apple made the first significant update to Apple News since its launch. 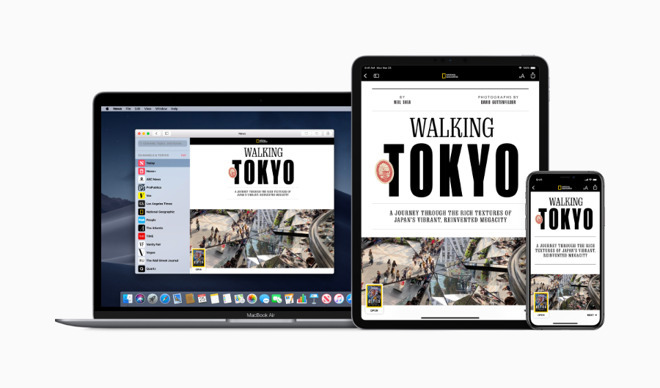 Alongside other apps including Home and Stocks, Apple brought the iOS version of Apple News to the Mac. It was the start of what Apple called a multi-year plan to enable other developers to adapt their iOS apps for the Mac.